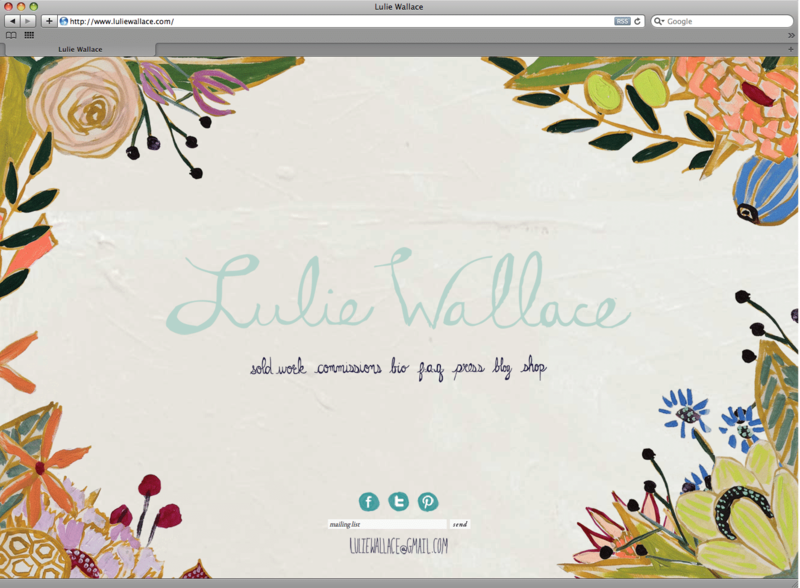 We are beyond thrilled to announce the launch of Lulie Wallace‘s new website. 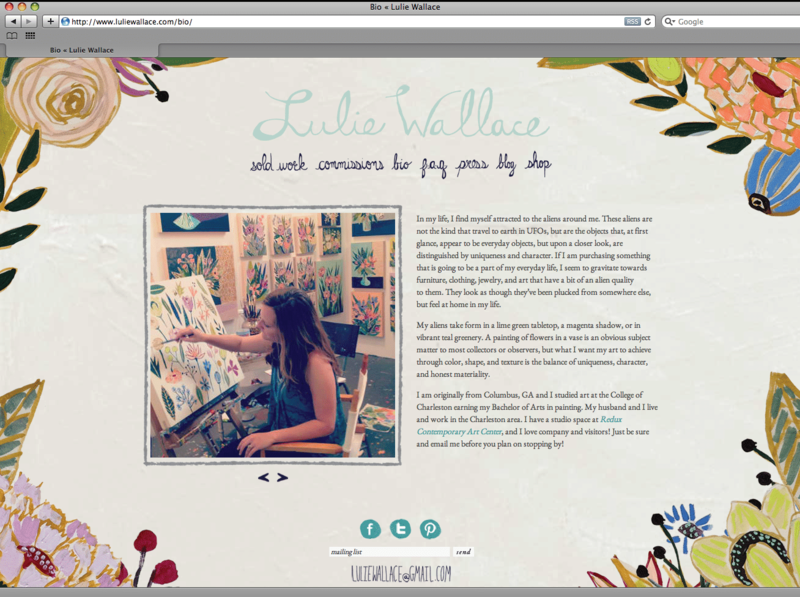 Lulie is as sweet as they come and it was such a pleasure to design her site. Her artwork is playful, colorful and oh so lovely. Lulie painted the navigation, background and, of course, all of the flowers that frame the site. 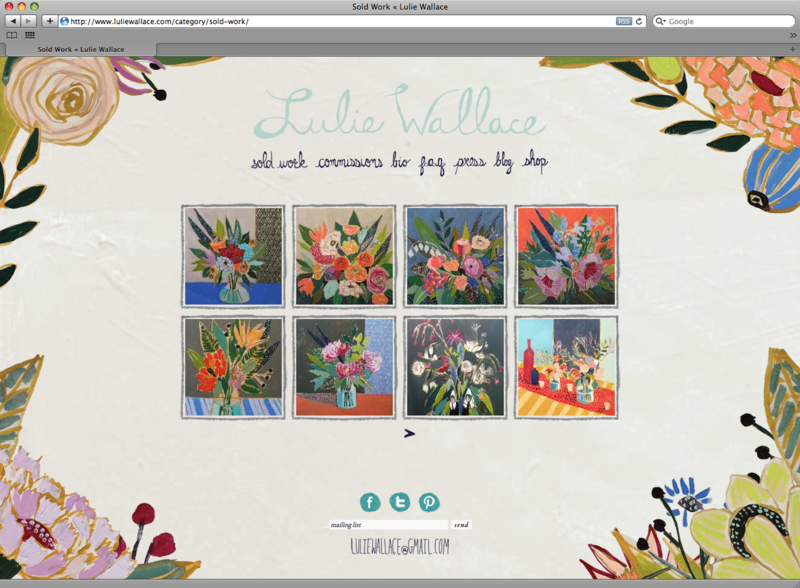 The site launched just in time for her latest collabroations and mentions in Anthropologie catalogue, Serena and Lily‘s website and Anthology Magazine. And now we’re back to work, collaborating with Lulie to create her next endeavor – textiles! spent the weekend devouring your site and blog. So much “cool” coming out of Charleston these days, love your work!